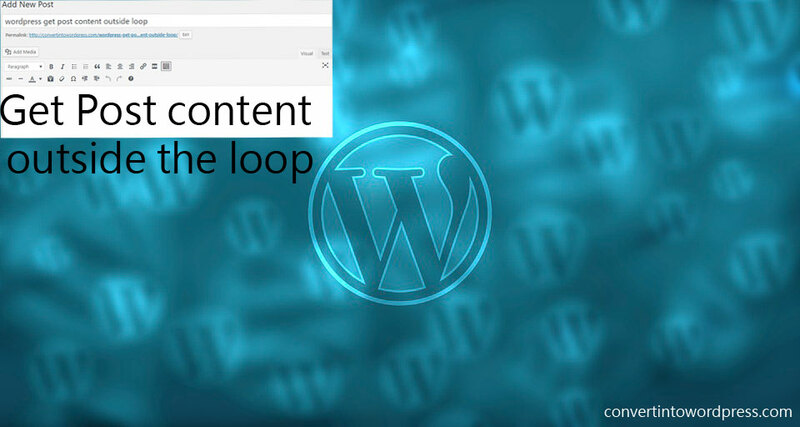 When you need any post/page content inside a loop of different post/page or outside any loop you don’t need to access these with a database query. Using the WordPress’s in-build functions will do this for you. These functions are doing the same thing internally, like querying into database and outputting the results. It saves a lot of time for you. Probably you are beginner of WordPress theme development and stuff you learn in the article will be very useful for you. In this article first of all, we discuss different cases where you need to get a post or page contents outside or inside a loop. Therefore, you can access the title, the content, featured image , custom field values , etc. Furthermore. we discuss some WordPress functions that will help you to get your desired output. Finally, some techniques to get things done. How to get the featured image/categories associated/tags/taxonomies/custom fields values etc based on ID ? // you can specify the image size here.